Regardless of the fact that frontman Austin Winkler (who left the band after entering rehab) has been replaced with Marshal Dutton (and Nolan Neal briefly before him); you know what you’re getting with a Hinder record. And the bands’ fifth, When The Smoke Clears, is no different. Dutton slides into Winkler’s shoes somewhat admirably here, belting out songs that cover all the standards - drinking (“I Need Another Drink,” “Intoxicated”) and jilted love (“Nothing Left to Lose,” “Dead to Me,” “Rather Hate Than Hurt,” “Letting Go”). 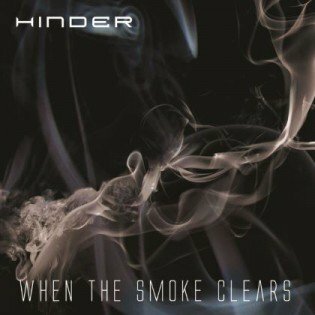 When The Smoke Clears features the same nu-rock (or bro-rock if you must) formula found on any of Hinder’s prior releases, so, you know, if you liked any of those, you’ll like this. What’s the old saying? If it ain’t broke don’t fix it, right? When The Smoke Clears is what it is – a record that should do enough to appease Hinder fans, but probably not much else.